First time renting a dumpster? No problem. We're here to help. First time renting a dumpster ? 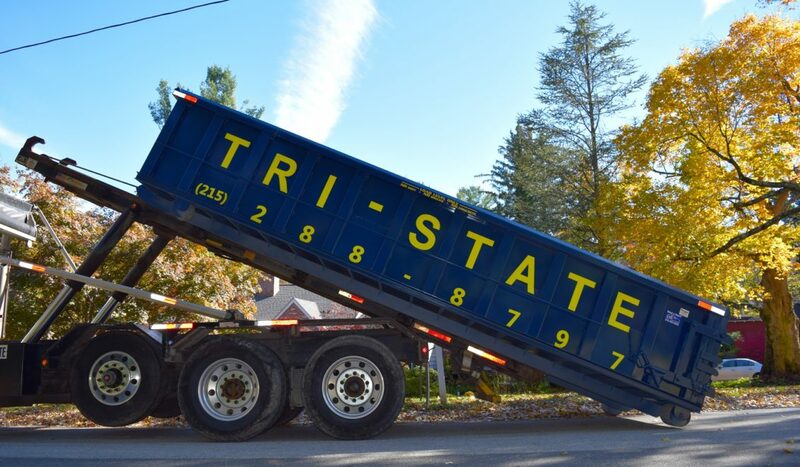 No problem, let us at Tri-State Waste & Recycling help simplify the process. First, consider what size dumpster you’ll need. Dumpsters come in a variety of sizes. We offer 10 cubic yard, 15 cubic yard, 20 cubic yard, 30 cubic yard, and 40 cubic yard dumpsters. If you’re not sure, just give us a call and one of our trained and experienced representatives will offer the best possible solution for you. You can browse our dumpster sizes by viewing our dumpster selection guide . Second, you’ll need to make sure you have enough space to place a dumpster. Keep in mind a truck needs to be able to drop off and pick up the dumpster, so make sure there aren’t any obstructions such as low hanging wires or cars blocking access. Next, call and place your order. You will be able to plan a drop off date and arrange payment over the phone. We recommend giving at least one days’ notice for delivery. Your last step is loading the dumpster. Your dumpster will come with a rental period, but you can give us a call as soon as you are all finished. The driver will remove the container and take the material to a nearby disposal facility. Our goal at Tri-State Waste & Recycling is to make renting a dumpster as quick and simple as possible for our customers. Our staff is available to answer any questions you may have along the way. Give us a call today at 215-288-8797.